In Spain, the overall policy for drug treatment is guided by the National Strategy on Addictions. At the same time, the implementation, management and evaluation of the resources and programmes for providing care for drug users come under the authority of the 17 autonomous communities and two autonomous cities. Each autonomous community is entitled to organise and deliver health interventions according to its own plans, budgets and personnel. Some have integrated treatment for drug use-related problems within primary care units or mental health services, and some have a separate treatment network that retains a connection with the general healthcare system. As a general rule, care is organised on three levels. The level of primary care acts as a gatekeeper, the secondary level provides integrated treatment services, and tertiary-level care units supply highly specialised and long-term care. The public sector is the primary provider of treatment, followed by non-governmental organisations and private organisations. Drug treatment is mostly funded by the public budget of the central government, autonomous communities and cities and by some municipalities, usually the big cities. A specific drug dependence care network is widely distributed throughout the country. Therapeutic provision comprises outpatient and inpatient treatment networks. The outpatient network includes low-threshold services, mainly operating at the first care level and providing mental health screening for clients, and specialised drug treatment centres, including mental health units, which constitute the backbone of the treatment system, operating at the secondary level. A team of multidisciplinary staff usually manages clients in those settings, providing psychosocial treatment, case management and referral to other services. The inpatient networks include hospital detoxification units, support apartments for treatment and social reintegration, therapeutic communities and penitentiary centres. In Spain, opioid substitution treatment (OST) is available at about 2 000 specialised outpatient centres, at other health and mental health centres, at inpatient facilities and in prisons. Pharmacies are involved in dispensing medication to patients. Methadone was introduced and licensed as a treatment in 1990, and the treatment is free for clients. Buprenorphine-based medication is offered by the National Health Service, but clients have to contribute to the cost of the medication. In Spain, nearly 192 000 drug users received drug treatment in 2015, the majority of whom were treated in outpatient settings. Over the last decade, the number of clients entering treatment each year has ranged between 47 000 and 53 000. Heroin users remain the largest population receiving drug treatment in Spain, many of whom are long-term recipients of OST. The long-term trend indicates that the proportion of people entering treatment as a result of heroin or cocaine use has declined over the last 10 years, while a progressive increase in cannabis-related demand has been observed; since 2012, the total number of treatment entries due to cannabis use has exceeded those due to heroin use. Methadone maintenance treatment remains the most frequent form of OST, while combined buprenorphine/naloxone is mainly used at low doses for clients who were stabilised on methadone. 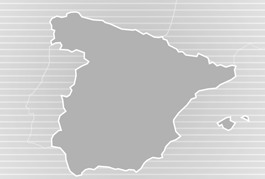 In 2015, 59 264 people were prescribed OST in Spain. Since 2002, a declining trend in the number of clients receiving OST in Spain has been reported, which is consistent with other data indicating an overall decline in the number of heroin users in the last two decades.